Family firm of monumental and architectural sculptors established in 1857, by the brothers John Mossman , George Mossman and William Mossman II , after training with and succeeding their father, William Mossman I , at his sculpture studios at 83 North Frederick Street. William Mossman I is traditionally credited with founding the firm in 1816, when he emerged as a sculptor, whilst the date 1857 is commensurate with the first appearance of the firm's familiar name, J & G Mossman, in the POD 's. Prior to this the firm traded as 'William Mossman'. Succeeding to their father's business on his death in 1851, the brothers originally traded as J G & W Mossman, 1853-6, becoming J & G Mossman in 1857, when William II left to set up on his own. William Mossman I had worked as a sculptor in Leith, 1816-28, before moving to Glasgow to manage David Hamilton 's marble business, and to work as a carver on his buildings. Opening his own workshop in 1833, at 172 West Nile Street, he took full advantage of the opening of the Necropolis that year to establish the most successful firm, and family, of sculptors in the west of Scotland. His sons assisted him in every aspect of the business and were responsible for much of the firm's monumental and architectural work from the late 1830s, as well as pursuing independent careers as fine-art and public sculptors. 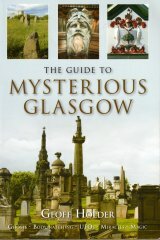 As monumental sculptors, they produced a vast number of monuments for the Necropolis and other cemeteries in Glasgow and elsewhere throughout the country, including many to the city's artists, architects, clerics and businessmen. These were often carved to the designs of some of Glasgow's finest architects, e.g., Alexander 'Greek' Thomson , but most were chosen from the Mossmans' own prolific designs. George Mossman seems to have been particularly involved with the design and execution of the firm's standard output of cemetery monuments until his death in 1863, whilst John Mossman signed most of their bronze and marble portrait reliefs. Their younger brother, William Mossman II, also contributed to the production of their monuments; one of the most important examples being the Mary Anne Lockhart Monument in the Necropolis, on which he assisted John Mossman in carving its Gothic stonework and its 'German' style angels (1845). As the monument was nearing completion, William wrote to George in Greenock, updating him on its progress and their satisfaction with the angels. He also shared his belief that it would have been finished sooner if George had worked on it with them, and that it would eventually be the most impressive monument in the cemetery. As well as their work as monumental sculptors, J & G Mossman also produced the granite pedestals for several of the city's public monuments, such as the Kennedy Monument, Kelvingrove Park, with its famous Royal Bengal Tigress by August Nicolas Cain (1867, the pedestal had previously been used for Marochetti 's statue of Victoria when it stood in St Vincent Place, prior to being given a new pedestal when the statue was moved to George Square, in 1866). The firm was alo responsible for most of the fountains that appeared in the city after the completion of the Loch Katerine Water Scheme of 1854-9: the Hugh MacDonald Memorial Fountain (1871); the Bailie James Bain Fountain (1873, demolished); and the Sir William Collins Memorial Fountain (1881), all of which were built on Glasgow Green; and the Stewart Memorial Fountain in Kelvingrove Park (1872), the largest and most sculptural fountain in Glasgow before the arrival of the Doulton Fountain, in 1888. As architectural sculptors, their careers spanned Glasgow's architectural golden age, from the days of David Hamilton in the 1830s, to the era of J J Burnet and C R Mackintosh in the late 1880s. One of the firm's greatest contributions to the development of Glasgow's architectural sculpture at this time, was its training and employing of several sculptors and carvers of note in their workshops, including Walter Buchan , John Crawford , Daniel McGregor Ferguson, Frank Leslie and James Pittendrigh Macgillivray , all of whom were to make their own significant contributions to Glasgow's buildings. Quantifying the J & G Mossman's output of architectural sculpture is a task made impossible due to the destruction of many of their records and the demolition of countless Victorian buildings in Glasgow in recent decades. However, their identified and extant works are still so numerous that their standing as the most successful and prolific in their field is without doubt. Particularly fine examples of their lost work are the sculpture schemes of Cranstonhill Police Office and Court, 55 Cranston Street, designed by John Carrick, the City Architect (1857), and a series of statues on the original portico of the former City and County Buildings, Ingram Street (1874-6). The Police Office was the grandest of a series of buildings designed by Carrick in the Italian palazzo style, and featured a pair of female figures in John Mossman's best Classical manner, together with a series of beautifully carved keystone heads and heraldic shields (including Queen Victoria's monogram), on which he was probably assisted by Walter Buchan, as well as his brothers. The building was destroyed in 1971. The statues for Clarke & Bell 's City and County Buildings were a joint effort between John and William, and were noteworthy enough to be described in detail by the BN when it reported on the statues being hoisted onto the building's entablature, in January 1876. The statues were lost around 1892, when the facade was rebuilt to a plainer design and without sculpture. The firm gained much of their architectural work through the tender system and were often undercut by former pupils, such as James Young (e.g. Merchants' House, 1874-6) and occasionally sub-contracted larger commissions to others, e.g. Charles Grassby (Clydesdale Bank, 30 St Vincent Place, 1874-6). The firm's workshop was photographed by Thomas Annan in 1875, and shows the Mossmans at work on the statuary groups for the St Andrew's Halls, Granville Street (1873-7), and a number of masons working on cemetery monuments. Outwith Glasgow, they executed the coat of arms and carverwork on the Royal Bank of Scotland in Airdrie, for the architect James Thomson (1873-4); and executed their most extensive commission for architectural sculpture for H & D Barclay's Greenock Town Hall (1884-90). Relying on their monumental business during building slumps the firm acquired a granite quarry in Creetown, Kirkcudbrightshire, and appointed former assistant Peter Smith (1843-1911) as manager of their granite workshop in Glasgow. Smith later worked independently as a monumental sculptor from 1875, then acquired J & G Mossman in 1891, after John Mossman's death. Continuing to operate under the firm's original name, Smith concentrated on producing monuments for cemeteries and commemorative drinking fountains rather than architectural sculpture, and later diversified into building granite shopfronts. Amongst the many public monuments executed under Smith's direction was a granite Drinking Fountain at Inverary (1893); and amongst his important cemetery monuments was one to the architect Thomas Gildard in the Glasgow Necropolis, which was designed by Gildard's nephew, the painter R J Gildard, and which features a bronze portrait panel modelled and gifted by William Shirreffs (1896). A fine example of his architectural work (though executed by Grassby ) was the St George and the Dragon group on the St George's Co-Operative Building, St George's Cross (1897, demolished 1985), which was re-erected at the cross as a free-standing, public monument in 1988. Closely involved with Glasgow's public sculpture throughout its history, they executed a new pedestal and inscription panels for the King William III statue (1894), and were responsible for its removal from the Trongate to Cathedral Square in 1926. They also re-shuffled the monuments in George Square in 1924 (adding their sculptors' names to the pedestals); dismantled the David Livingstone statue and re-erected it in Cathedral Square, in 1959; and produced a new pedestal for the Cameronians Memorial in Kelvingrove Park after the original had deteriorated badly, c.1959. The Bailie James Hamilton Memorial Fountain at Parkhead Cross (1903, dem. c. 1960); the Lady Ure Primrose Drinking Fountain in Bellahouston Park (1914); and the John McLean Monument at the entrance to Shawbridge Arcade, Pollokshaws (1973). They also executed war memorials throughout the country after World War I, such as Barrhead; East Kilbride; Pollockshields; and Paisley. After World War II, they were busy altering war memorials with new inscriptions and the names of the dead in that conflict. They also produced the pedestal for Eric Kennington's 602 'Glasgow' Squadron Memorial at Glasgow Airport (2003). Until recently the firm was responsible for the repair and maintenence of all the city's war memorials, and continues to repair and erect monuments in Glasgow's most important historic graveyard: the Necropolis. In 2004, the firm was commissioned to produce the granite Archibald McLellan Cenotaph for the Necropolis, which belatedly commemorates the founder of the McLellan Galleries at 254-90 Sauchiehall Street, which features a half-length portrait bust of Queen Victoria and a fine coat of Glasgow arms which the Mossmans carved for the building's facade 150 years earlier. Their other projects in the 21st Century have included the restoration of the Alexander McCall Monument in the Necropolis; an Iona Cross designed by CR Mackintosh and sculpted by Peter Smith in 1888, which was repaired free of charge by the firm after the monument had been toppled and broken by vandals in 2004 (2005). In 2006-7, they produced the memorials to commemorate two largely forgotten conflicts and their casualties from Glasgow: the Korean War Memorial (2006) and the VC Memorial, which marks the 150th anniversary of the awarding of the first Victoria Crosses won during the Crimean War and their subsequent winners (2007). Carved in grey granite, the designs for the monuments were the work of Kenny Pollock Smith, a descendent of Peter Smith, and the son of the firm's present owner. A photograph of Kenny erecting the VC Memorial is in the Evening Times article We Will Remember Them, published to coincide with the memorial's unveiling on 1st September, 2007. The team at glasgowsculpture.com is grateful to Kenny Pollock Smith and J & G Mossman Ltd for giving us free access to their archives, and for providing information on their most recent work.